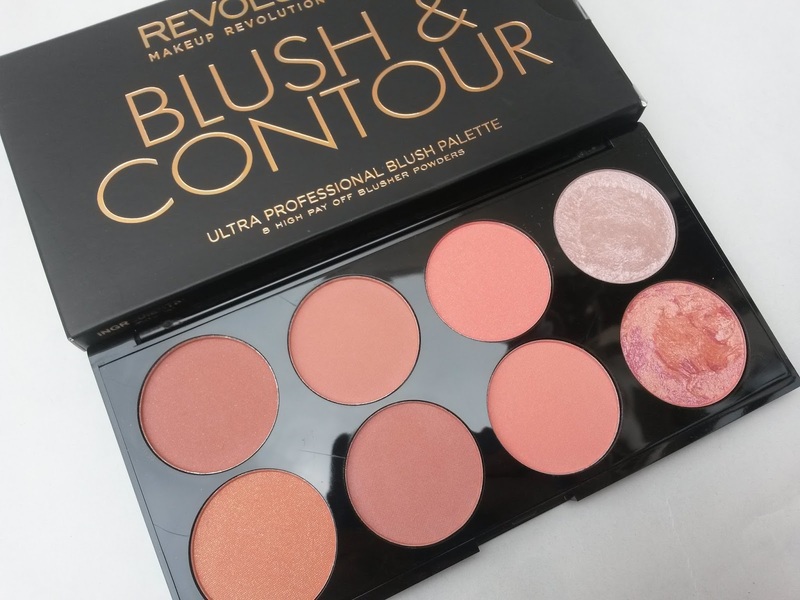 Since getting my hands on Makeup Revolution's blush & contour palette I've been wearing it religiously every single day, and if I've not it's because I've gone makeup free. 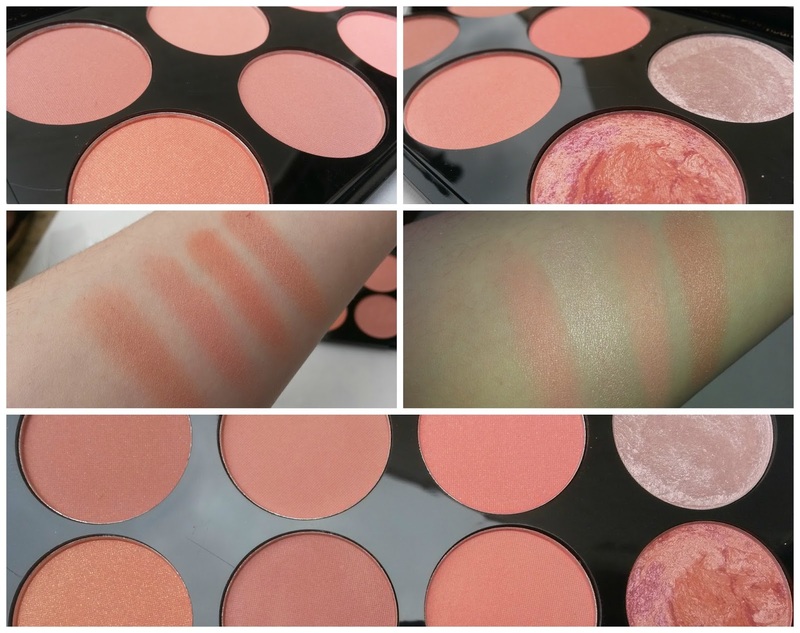 The blush & contour palette is available to buy in two palettes, both come with a series of different shades. There's the first palette in sugar & spice, this one comes with statement pinks for a lovely pop of colour. The second palette - which is what I've got - is hot spice, this is made up of a bunch of pinky/orange shades, and the more subtle of the two. Inside is 8 shades that consist of shimmer and matte blushers, merged baked blusher and merged baked highlighter. The blush themselves feel rather luxurious, very soft and velvety at a touch. The pigmentation is absolutely incredible, subtle yet buildable. It's easy to work the palette both has a blush and contour palette, all shades are easy enough to blend - but I very much prefer this for just blusher purposes. I find the contouring shades maybe a little to dark for my fair skinned skin tone. The highlighter is absolutely gorgeous, and adds a beautiful shimmer. My go to shade is the second from the left, top row, and the highlighter which I just can't get enough of. Staying powder is fantastic, and even more so with a primer and setting spray. I love this palette for the Summer months, it's a lovely palette of pure coral goodness. And the best bit is yet to come, this is just £6.00 - link. The packaging is the more luxurious of the palettes available from Makeup Revolution. The case is more sturdier, and inside is a decent sized mirror. I love the shades and pigmentation is amazing for that price! This sounds amazing!! Im still yet to buy any of the makeup revolution products!! This one looks gorgeous! Just found your blog btw and I love it! Definitely following you right now! This palette looks amazing! And the colours are just stunning! I still havent caught up with the whole makeup revolution trend yet, so I definitely need to try some of their products! Just found your blog btw and I absolutely love it! Definitely following right now! Oh this looks beautiful! Lovely shades. I'd really love to try some products from Makeup Revolution, but just haven't got any spare cash to spend on cosmetics at the moment :( gutted. Such a gorgeous palette, i love them! I love the highlighter in them, so beautiful!